The turkey burger! Could be delectable, but could also be meh. Here comes a #150BunsofSummer recipe that aims to shake it up! We've got a juicy burger, cheese to fill out what we're missing, and super punchy guacamole, alongside the burst of flavour from the grilled corn. Try this at your next BBQ STAT! Combine turkey, salt, pepper and onions in a bowl and form 1-inch-thick patties. Combine all guacamole ingredients and mash until the avocado is relatively smooth. Grill turkey patties on medium heat, about 4 minutes per side, until they're cooked through. Melt Monterey Jack cheese on patties. Toss a fresh ear of corn on the grill; once cooked, remove corn kernels and set aside. Toast D’Italiano® Crustini buns on the grill. 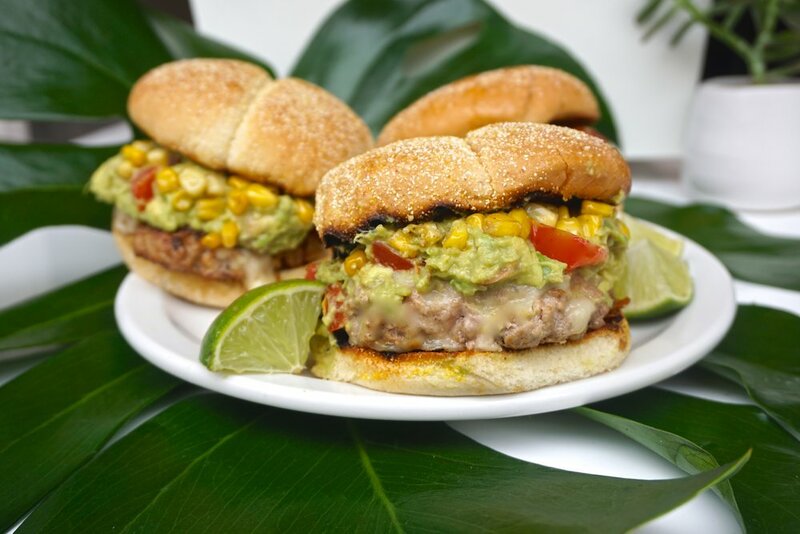 To build, place each cheese-covered burger on a bun and top with a heap of guacamole and grilled corn kernels.